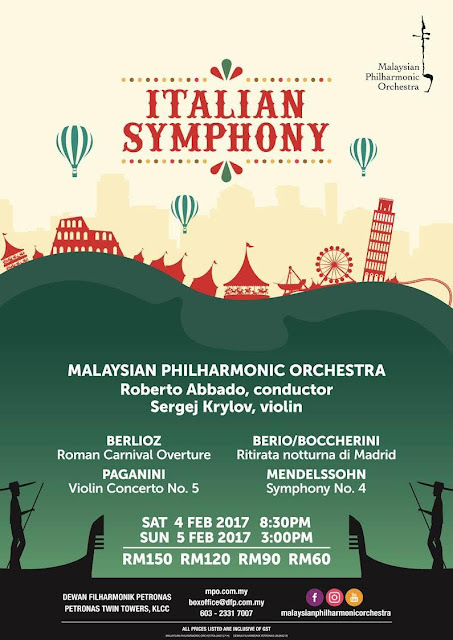 Kuala Lumpur, February 2017 - The Malaysian Philharmonic Orchestra (MPO) will bring you on a musical journey to Italy this weekend on Saturday, 4 February 2017 at 8.30 pm and Sunday, 5 February 2017 at 3.00 pm at Dewan Filharmonik PETRONAS (DFP), KLCC. All concerts will be led by prolific recording conductor, Roberto Abbado. A TRIP TO ITALY WITH THE MPO AT DEWAN FILHARMONIK PETRONAS! With a thematic programme of Italian fare with a flair, the MPO will present music that brings to mind festivities, dances and the spirit of Italy such as Berlioz’s Roman Carnival Overture and Mendelssohn’s Symphony No.4 in A major, nicknamed ‘Italian Symphony’. The latter reflects Italy’s sunny vitality and the composer’s enthusiasm for the land. The work also highlights an exuberant theme in the violins, an evocation of a gentle sylvan through the horns, and a fiery finale with whirling dance movements uniting two Italian dances, the ‘saltarello’ and the ‘tarantella’. You can also expect the performance by MPO of Violin Concerto No.5 in A minor composed by Pagannini, a virtuoso who is an integral part of the rich tradition of Italian string playing and has exerted an absolutely magical, mesmerizing effect on all who heard him. In his day, he surpassed every other violinist in the history of music by light years in his technical wizardry and velocity. Four Original Versions of ‘Ritirata notturna di Madrid’ composed by Boccherini/Berio is also included in the repertoire list. The concerts will feature Sergej Krylov, one of the most talented violinists of his generation. 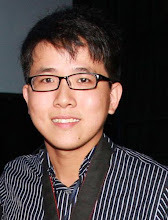 He has been regularly invited to perform with prominent orchestras such as the London Philharmonic, Budapest Festival, Royal Scottish and Staatskapelle Dresden. Luminaries that he has collaborated with includes Fabio Luisi, Yuri Temirkanov, Vladimir Ashkenazy, Valery Gergiev and Yuri Bashmet. A Music Director with the Lithuanian Chamber Orchestra, Krylov has released a recording of Vivaldi’s Four Seasons last year.